Any more specific about the company names? JTB Trailers are also building Mr Smith a new trailer for his HPDC team, they are also a team sponsor as well. There's a bit of history in some of those trailers. 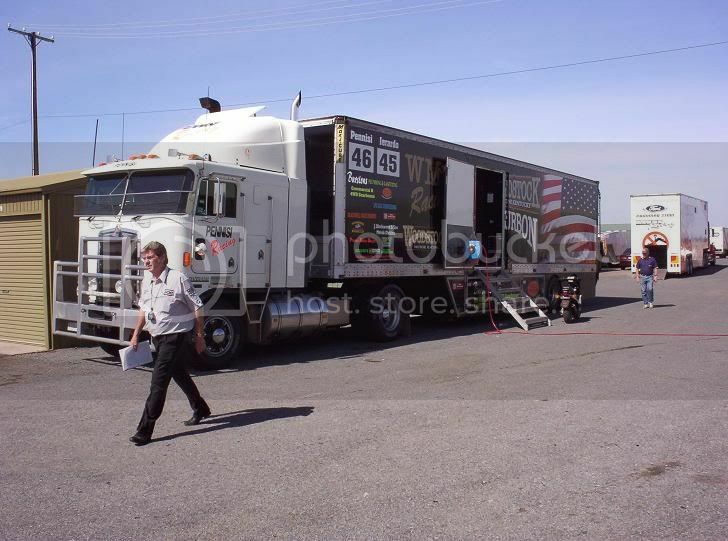 The Rentco unit is the original Cat Racing trailer built when the team was in WA and later acquired by the Briggs team. And unless I'm very much mistaken, the D'Alberto trailer is the ex Wayne Gardner trailer. I'd recognise those enclosed wheels anywhere! The PCR unit looks like another hand me down from SBR...which was previously acquired from Alan Jones . Some nice equipment in this class too! 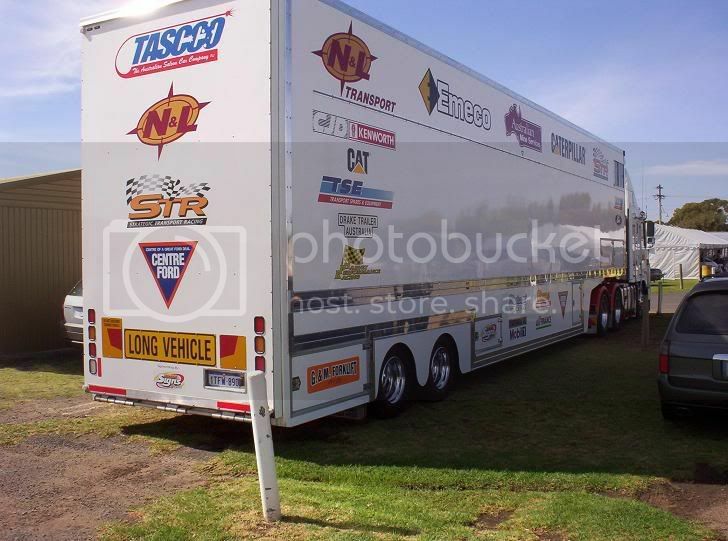 Hmmmm, depending on your memory, I am guessing the Noske's have had more than one trailer? Actually that trailer was our only trailer. The trailer was an ex Gibson unit, built in 1996. It was purchased in 99 for the HYL program. It transportered myself and Todd's HYL cars during that year. 00-01 it was leased by PHR to transport originally my sole F360, then the Warwick fabrics F360. And during the 01 season numerous F360's and Bud Falcon. 02 The trailer was occasionally leased I believe. 03 Used to transport my AU Falcon. Good to see you are still around Mark. Your name hasn't been bandied around for the enduros this year, are you still in the market place? Mark is driving with Tim Leahey at the HSVDT. Should be good.... especially if they beat the two "hot shoe" regulars! How many times have I read that. Memo to self: When you read you should in fact read. 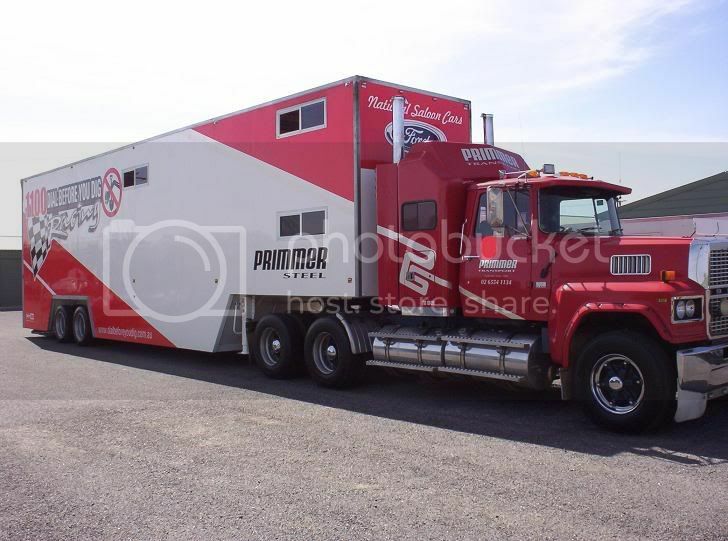 This transporter is now in the hands of Ian McAlister and the Coopers Pale Ale V8 ute team although the prime mover is a newer then the one pictured but same trailer. FORD, FIRST ON RACE DAY !!!! SBR - 2003, 2004, 2005 Champions ! Cool thread! it's a shame that transporters/paint schemes are often overlooked. 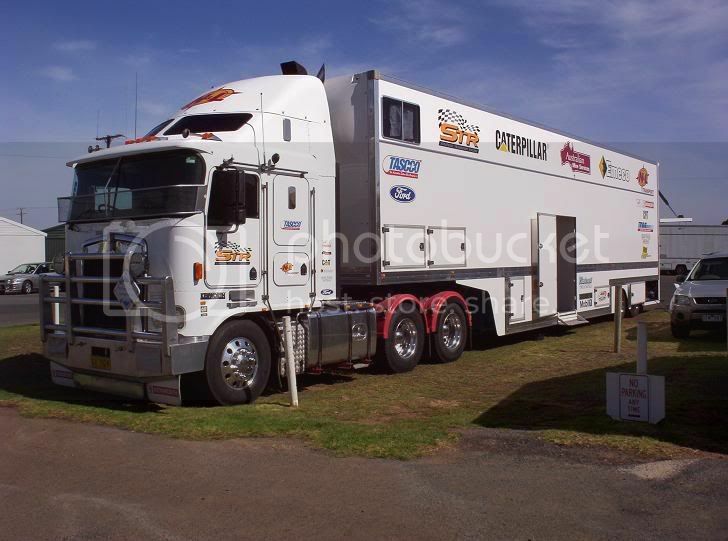 The V8 Supercar organizers should involve the transporters/drivers/pit crew more. Did you know Nascar actually has an annual competition where they have the transporter drivers compete in parking/maneveuring competitions. The pitcrews have their own tire change competition. Something that V8 Supercar organizers should consider.